Advertisers can manage and change their campaign bid in real time basing on the market flow and RTB values. The administrator of the White Label platform has the power to decide the revenue of his publishers and all the campaign costs of his advertisers. The administrator could indeed ask for the minimum bid expressed in the market or personalise that value. 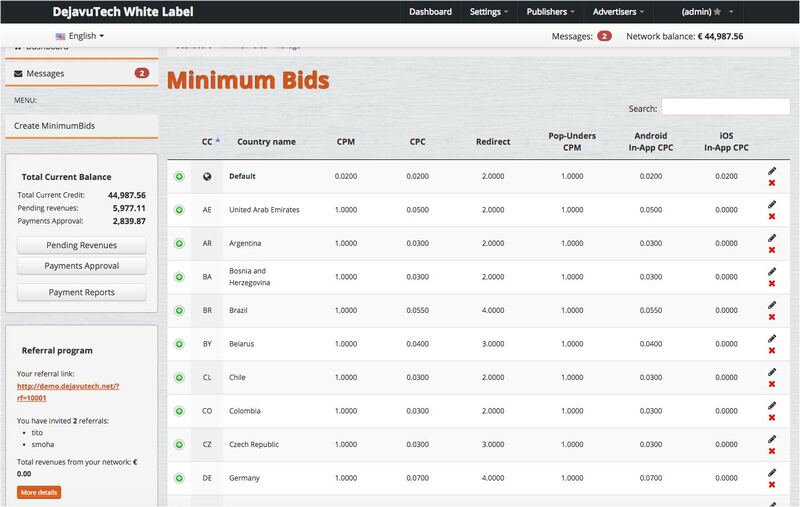 The minimum bid for a campaign can be customized based on country, payment type (PPC, PPM, PPA) and device OS. The platform works with Real-time Bidding allowing advertisers to manage and optimize their advertising campaigns from multiple ad-networks. The delivery probabilities of the advertisement are calculated in Real Time maximizing publishers' revenues and administrator's earnings. Using Real Time Bidding (RTB), the advertising inventory is bought and sold through a real time auction, advertisers have to offer, at least, the minimum bid of the market to get traffic. The traffic is distributed starting from the higher bid, to the lower. This brings advantages also to publishers because the higher the bid is on their website, the higher is their revenue. RTB is a return that rewards quality traffic. RTB is considered more effective if compared to the static payment method, because it brings advantages for both publishers and advertisers in terms of advertising inventory sold. The first ones don't have to "waste" time finding advertisers and contracting with them, they have a wider audience of potential buyers and they receive the maximum bid value in the market. 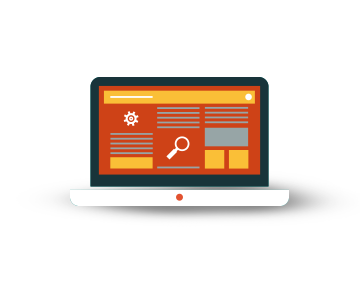 On the other side, RTB allows advertisers to increase their reach and frequency, to gain the returns they need optimizing the advertising campaigns and choosing only the impressions they want to buy.